Granted comes to Middlesbrough this autumn with a series of one-day workshops and seminars for artists and creative freelancers. Including sessions on fundraising, social media and exhibiting, the programme is supported through a-n’s collaboration with Navigator North, the Middlesbrough-based organisation that initiates and promotes opportunities for visual artists. First up is Dodge the shredder (11 September), a full day workshop aimed at empowering artists to fundraise effectively and create a financial strategy for their practice. 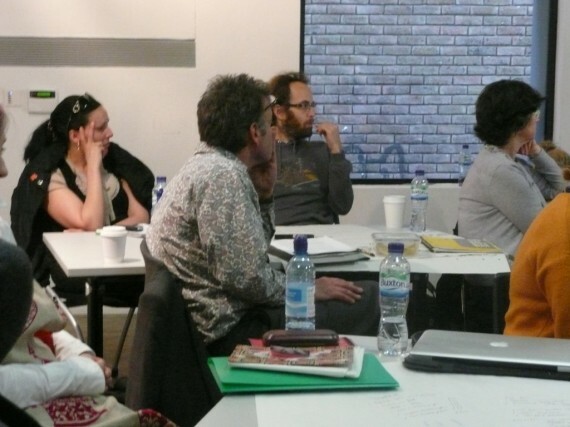 Developed and delivered by artist Emilia Telese, the workshop session offers tailor-made feedback for funding proposals in progress, in a friendly, supportive environment. Harnessing social media for promoting and funding your practice (18 September) is split into two separate sessions. In the morning, Unpicking social media, led by artist, writer and critic Jack Hutchinson, will enable artists to get to grips with social media as a tool for the promotion and development of new opportunities to enhance their professional lives. The afternoon session, Understanding the principles and potential of Crowdfunding, is led by WeDidThis founder and creative producer Hen Norton, who will help participants identify and build their audiences and make the most of networks and social media through crowdfunding and crowdsourcing platforms. Exhibition practice (3 October) looks at the ecology of that art world from the artist-led space to international art fairs. Led by The International 3 Director Laurence Lane, with insight and contribution from the Lionel Dobie Project, this seminar identifies strategies for approaching galleries and curators and provides the know-how on setting up your own exhibitions, from pop-ups in empty shops to longer-term projects. www.a-n.co.uk/granted/ forms part of a-n’s commitment to professional development within a programme that also includes AIRTIME information and networking sessions, Re:view bursaries, Go and see bursaries, online toolkits and expert guides. a-n welcomes offers to host and partner on similar events around the UK. Contact [email protected] with your proposal.